Service tends to be something I think about a lot. It is so important to serve others but I have gone from seasons of not serving anyone at all to seasons of stretching myself way too thin with service projects. As I seek a balance between the two extremes, I’m learning that one way to serve others without neglecting my children is to involve my kids in the process. I want to share a few of those ideas with you. Keep in mind that any chore your children can do for your family is a chore they can help do for someone else. This can include washing dishes, sweeping floors, dusting furniture, organizing clothes, and scrubbing bathrooms. Older kids can mow grass and do other heavy yard-work while younger children pull weeds or sweep the sidewalks. 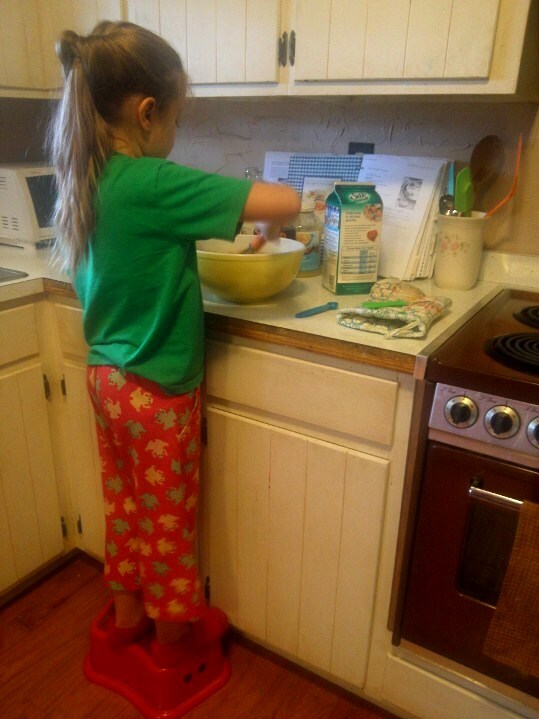 Whether you’re taking a full meal to a new mom, baking brownies for a new neighbor, or shopping for a small bag of groceries for someone in need, children can help with this task. Regardless of whether a card is homemade or store bought, this is a great way that kids of all ages can help to brighten someone’s day! Does little Susie have the gift of gab? Put her chatting skills to good use by calling someone who may feel a little lonely. Even if your child is shy, it’s possible to be sensitive about that tendency while still encouraging him or her to step out of the comfort zone. Take children along to a nursing home or an elderly person’s home. Find a charity that your family can get passionate about helping, then designate a place for loose change. Watch the little stash grow and once you reach a set amount, deposit the money in the bank and write a check to your charity. Service projects with kids can sometimes feel like a recipe for disaster. That’s just life! It’s okay. Embrace it. Keep things simple. As your family serves together, you’ll figure out what you’re good at and what you’re not-so-good at. Find joy in the messy stuff and your family will be blessed as you learn to bless others together. What about you? 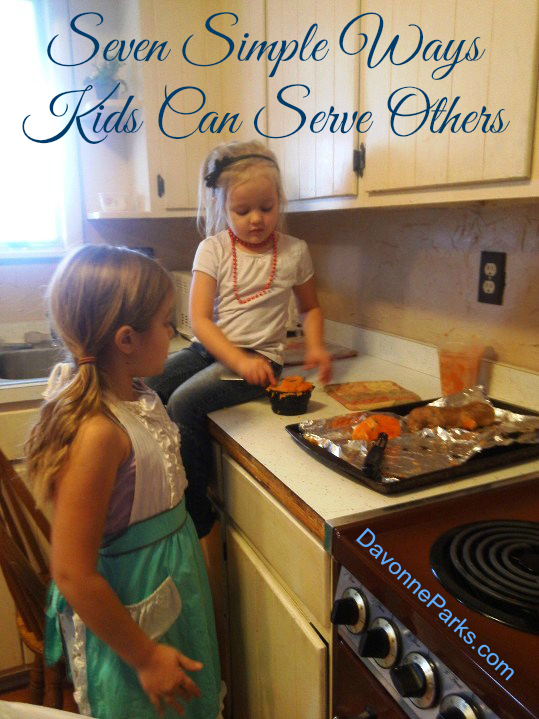 What ideas do you have for involving your children in serving others?